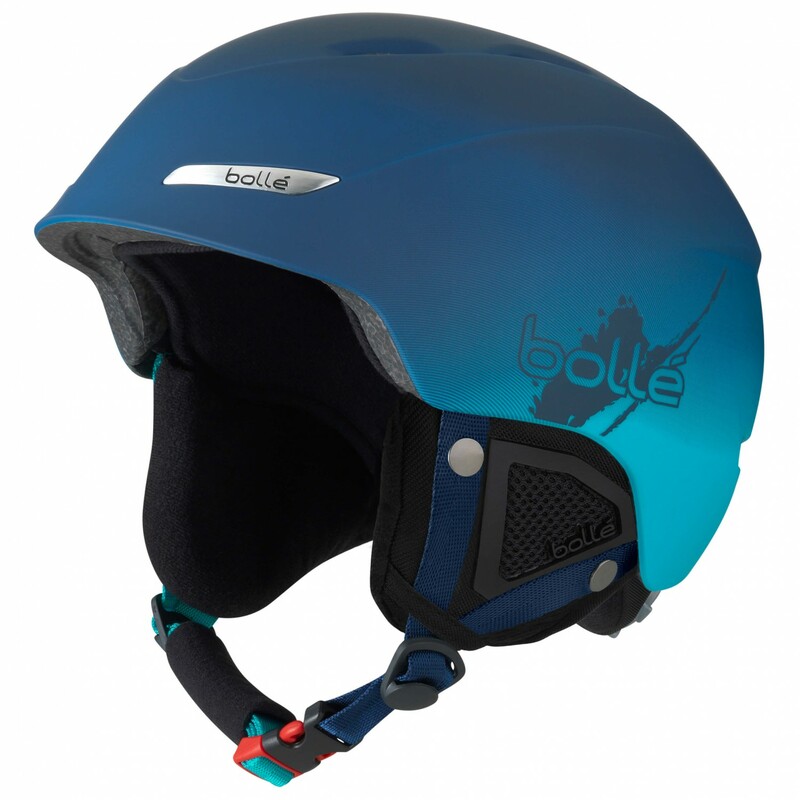 A great option for indoors and outdoors, be it on or off piste: the B-Yond ski helmet from Bollé! As a result of the in-mould construction consisting of a break-proof outer shell fused to a foam liner, along with the removable ear pads, the ski helmet is quite light and has cool, sleek aesthetic. Thing along with the nice ventilation system will keep you comfortable and styling all the livelong day. Thanks to the clever Click-To-Fit adjustment system, the B-Yond fits securely and offers reliable protection in the event of impact or a fall. A stunning ski helmet with a high-quality design and comfortable fit designed for a wide range of applications: the Bollé B-Yond!